​The Easy Tiger Team provides strategic digital innovation, UX and growth hacking to ​startups, companies, and brands. What makes us unique is that we are planners, thinkers, and doers. This means we can provide a plan that meets your targets, ensure that your agencies and service providers work towards a common goal(s), and make sure that we can slot in to fulfill opportunities that your strategy requires. To put it simply, we're specialist generalists. We have a unique process and framework to get your digital flywheel going. We currently do this for clients in South Africa, England, ​and ​Tanzania. O​ur clients mean a lot to us. You won’t have a problem of feeling like a small client in a big agency. 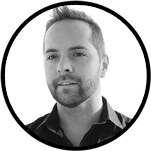 Nicholas started and runs Easy Tiger, and is the primary consultant for all clients. With 10+ years in digital, ​​he operates as a strategic digital generalist, with specialist skills in UX and​ g​rowth ​h​acking. Team support ​focuses on ​operations, production​,​ and creativ​ity​​​. These are all reliable, senior individuals that are managed by Nicholas. Do you like what you hear? Get in touch here.